WELCOME to our 2018 Boca Raton Event Calendar. This is an excellent way for you to stay current with FREE and PAID Events in Boca Raton and throughout South Florida. To Add an Event, click the 'Add Your Event' button and select the Date and Time for your special event. Our administration team will APPROVE your event within 24 Hours after submission. 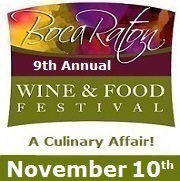 Post your Boca Raton Special Event FREE! Sign-up for our Email Newsletter and receive information about our Premiere Community Partners, Special Events, Food & Wine Festivals, Concerts, Wine Events, Charity Events, Discount Event Tickets, Coupons and Discount Specials from Restaurants and Boutiques, FREE Movie Tickets throughout South Florida. 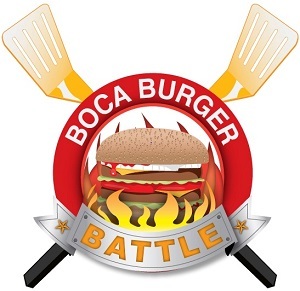 Details: The BBQ Grills will heat up again for our South Florida Top Chefs as they create their secret recipes as preparations for the 8th Annual Boca Burger Battle, A Grilling Affair! gets underway as we search for next summer's grilling masters for the epic burger battle. Past battle contenders; 2018 People's Choice for BEST BATTLE BURGER went to ROK:BRGR. Judge's Pick for BEST GRILL MASTER went to 1st Place - Funky Buddha Brewery, 2nd Place - Tucker Duke's and 3rd Place - Cheffrey Eats. They were joined by MEAT Eatery & Taproom, Shake Shack, Morton's Steak House, Flashback Diner, Burger Craze, TooJay's, Batch Gastropub, Burtons Grill & Bar, Kapow Noodle Bar, Cheffrey Eats, Big Joe's Burgers and Wings, Rockn Angels and Crazy Uncle Mike's. Enjoy unlimited burgers, bites, craft beer, seasonal spirits, summer wines and live entertainment.